Need Some Great Programs to Promote in Q4? If you’re looking for some great programs to promote this season All Inclusive Marketing, a full service affiliate management company has the following programs in ShareASale that would be perfect for Q4. 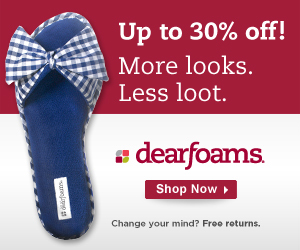 Dearfoams.com offers consumers stylish accessory footwear, slippers and sleepwear products that are the most comfortable in the marketplace. Blurb.com‘s platform makes it easy to design, publish, market, and sell your own professional-quality books using any of our free book making tools: Blurb Bookify™, Blurb BookSmart®, or our PDF to Book workflow. Blurb authors can use our free sharing and marketing tools, and post digital previews of their books on their blog, website, or Facebook page. A variety of offers and banner creative available in English, Spanish, French, and Portuguese. $10 affiliate referrals: Invite your website-owning and blogging friends to join Blurb’s affiliate program and earn $10 for each friend who’s approved. Monthly affiliate promotions – like USD $250 for the first five affiliates who reach monthly volume target. 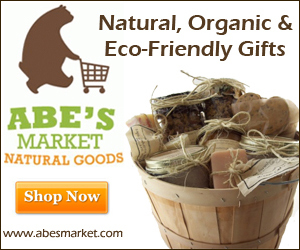 Abesmarket.com is the online marketplace for great natural products. We connect buyers seeking amazing natural products with the people who make them. Picaboo.com a premier provider of photo products. With Picaboo, anyone with digital photos can create beautiful photo products in seconds. No minimum earnings payment release threshold. Affiliate bonuses and promotions from time to time. Ongoing access to new banners and creative. Dedicated affiliate manager to help maximize your program. *Coupon and deal sites will be examined on an individual basis for initial commission payouts. Picaboo does not pay on recurring sales. Affiliates do not earn commission on sales resulting from a daily deal or discount voucher redemption such as from Groupon or Living Social. Moringasource.com provides the highest quality fair trade moringa products on the market, including powders, capsules, seeds, oils and more. ShopSunglasses.com has the World’s Largest Sunglasses Store. They have the largest selection of authetic designer sunglasses anywhere on the net, with popular brands such as Ray Ban, Prada, Gucci, Burberry and more. They offer free standard shipping within the US and a lowest price & satisfaction guarantee. 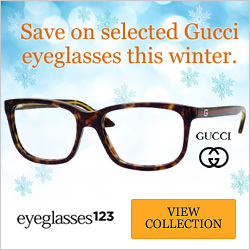 Eyeglasses123.com sells the hottest and newest styles of discount designer eyewear from brands such as Ray Ban, Gucci, Prada, Burberry, D&G and more. They have a new Christmas section on their site as well as a new daily deal section that’s coming up in the next few days. 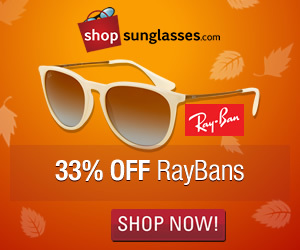 They offer free shipping on orders over $99, a lowest price match guarantee and a great selection of eyewear for kids. Upandriding.com was started in Hawaii, the surf capital of the world, with the goal of filling the demand of shoppers looking for a place to buy the latest hard to find kids clothes from various action sports brands. Leading Lady sells some of the world’s most comfortable nursing and plus size bras. This 70 year old company offers outstanding value for full figured women and nursing mothers. Panic-away-program.com is helping thousands of panic and anxiety sufferers end their attacks for good! Why ShareaSale over Commission Junction, LinkShare or an In House Program? I recently had a question from one of my new client’s web development team asking why we’d choose to work with Share-a-Sale over one of the larger networks such as Commission Junction or LinkShare. He also suggested that we could use a shopping cart plug in for affiliate tracking instead. Here was my reply to him. “I have worked with a variety of different in house programs as well as with the big names in affiliate networks. The big three for e-commerce are Commission Junction (CJ), LinkShare (LS) and Google Affiliate Network (GAN). There are about 1000 affiliate networks these days all offering “the best solution”. All of the legitimate super affiliates (who do not use malicious malware, spyware or toolbars) work with them. Aside from my personal recommendation to work with them, Pat Grady from RhinoFish had also recommended them separately from me. They have a very good reputation in many regards and we can do the job well with them. Many good affiliates have been burnt by unethical merchants trying to scam them out of commission payouts and will now ONLY work with networks to ensure tracking and payouts are fair. Many affiliates are already comfortable with their interface and do not have to learn an in-house solution to be able to participate with us. There are many options out there, and I do encourage you to do your homework to find the affiliate network which best suites your needs. Sometimes merchants will launch with multiple networks, but that’s another discussion all in itself. For those of you who’ve worked with Shareasale (whether you’re an affiliate or a merchant), why do you like to work with them? Yes, planning. We’ve heard it a million times. “If you fail to plan, plan on on failing”. It sounds cliche but the point is, it’s true. I’ve written several articles on How to Write an Effective Internet Marketing Plan which outlines the very basic elements that should be considered when planning a new online venture. But what I want to discuss today is the importance of properly planning your brand and what impact having a properly planned brand could mean for you. Your brand is far more than your logo. It’s the synergy between who you are, what you do, how you think, what you represent and how others see you. It’s everything from the look and feel of your website to the values you communicate to your target market. Let’s have a look at the affiliate marketing industry as an example. There are two ways people in this industry have successfully built brands. One is to brand themselves and the other is to brand their product or company. Examples of individuals who have successfully branded themselves are people like James Martell, John Chow, Missy Ward and Shawn Collins to name a few. These people, when you say their name, have huge brand recognition and chances are, even someone new would have heard their name a time or two. If you visit their websites they have pictures or “icons” of themselves and have a strongly recognized “voice”. You wouldn’t have to have met them to know what they look like and chances are if you did (for the first time), you might be slightly nervous because they are considered slightly iconic in the industry. Each of these people make it clear what they do and who they are. James Martell teaches newbie affiliates how to make money online through his Affiliate Marketers SUPER BootCamp. Shawn Collins and Missy Ward are most famously known for co-founding Affiliate Summit the affiliate industry’s largest and most recognized conference. From these other new successful brands and products were born. But did this all happen by accident? Absolutely not. Each person spent countless hours (even years) carefully planning their brand and delivering a consistent message about who they are and what they do. Its that effort in planning, foresight and consistency that has helped them become the household brands they are now. The second way to brand in this industry is to focus on your product, service or company as a whole. When you think of ShareaSale you think of honestly, strong ethics, personal attention and warmth toward both merchants and affiliates. You don’t only picture their logo. In fact, I personally am on their website daily and don’t remember exactly what it looks like. But I do know where to find them, know that they will be at all the industry shows and can name at least half their team and call them friends. We think of the people behind the brand and what they stand for and how they will affect my business and my affiliates. I think about the good tools they offer, the quick response times from their IT department and the fact that when I call for help, I get immediate, friendly attention where I know I will be well taken care of. ShareaSale, through careful planning, long term vision and deliverance of a consistent message, have successfully build a brand around their people and values and as a result are one of the fastest growing affiliate networks in North America. So I challenge you, whether you are an affiliate or a merchant, to look at the big picture of who you are and what you represent. Look long term toward the feeling people will have when they think of your brand and how they will respond. Then work your way backwards until you achieve it. Just one thing to note, sometimes your brand might turn out differently than what you expect. At the end of the day, it’s your audience that determines what your brand really means. With proper planning your brand won’t be too far off.